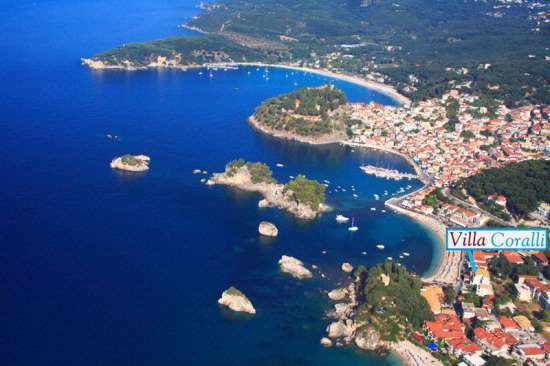 You could not wish for a more fantastic, central location for a perfect holiday in Parga. 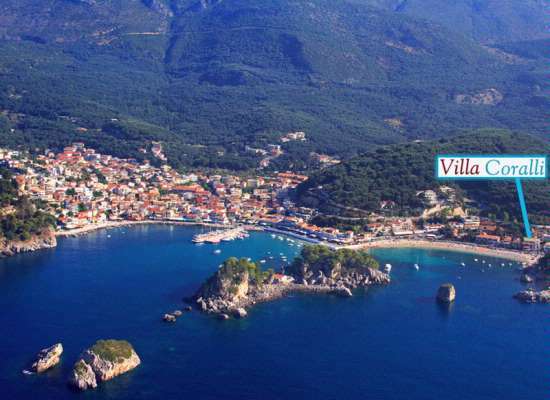 The family run Coralli Pension is located near the centre of Parga, opposite the picturesque Krioneri beach - Parga's town beach. With the lovely island of Panagia, with its two churches and remains of a Norman fortress just opposite, it really is the most wonderful setting. 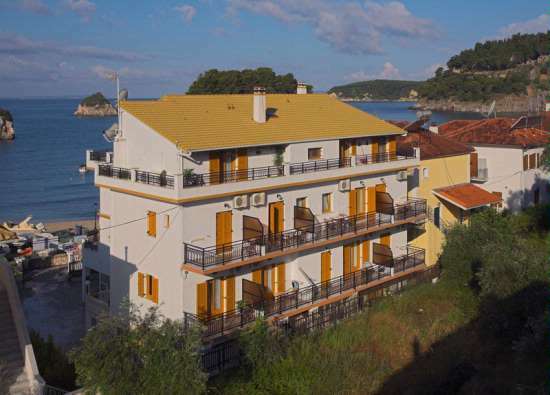 Well looked after by friendly owners, the apartments are all comfortable and attractively furnished. 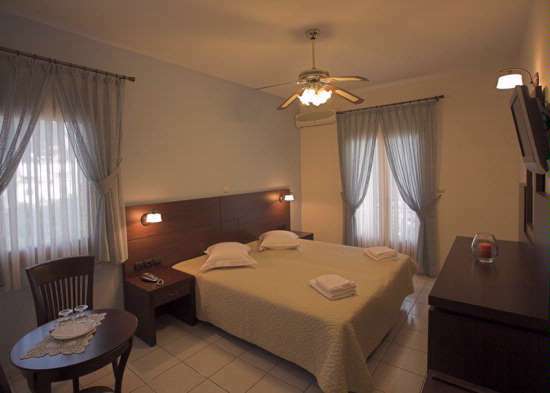 All rooms feature air-conditioning, satalite TV, safety deposit box (payable locally), fridge and en-suite shower or bathroom with hairdryers. 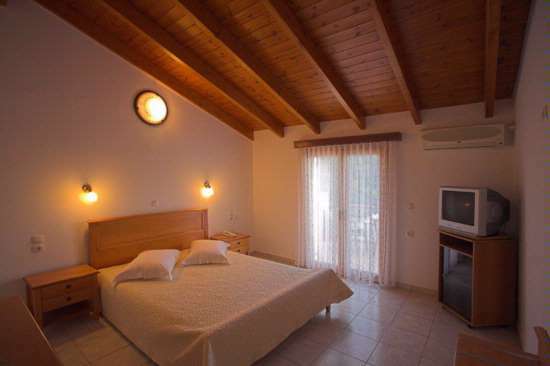 The front rooms of the Coralli Pension have gorgeous sea views as they all face the town beach and the island opposite which is lit up at night creating a relaxing atmosphere. Twins, triples and studios for 3 (or 2 ad and 2 ch and please note extra bed is a sofa bed)) . 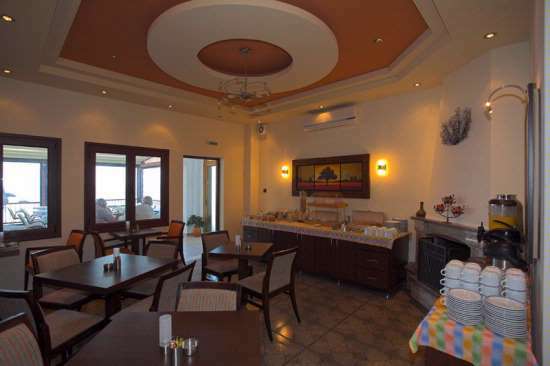 Rooms on the top floor are large, well-furnished and with a huge balcony. 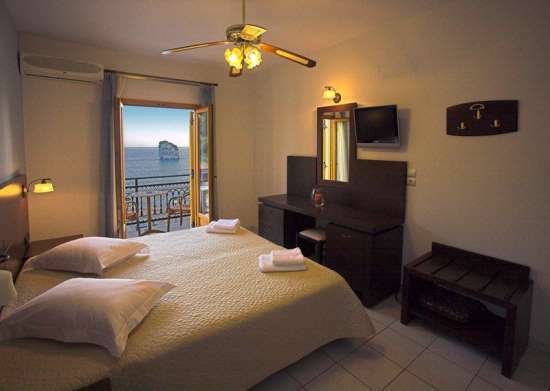 The rooms on the first and second floor have high quality furnishings with sea views or land views. 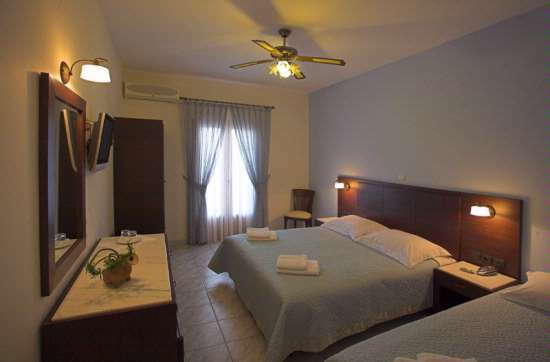 There is a studio and an apartment on the ground floor, with kitchen facilities and more basic furnishings. Also a 2 bedroom ground floor apartment with a terrace, ideal for a family. 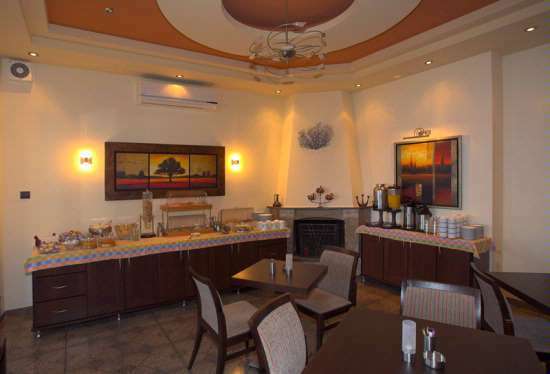 In the spacious terrace of the breakfast room you can start your day with a hearty breakfast (buffet style) or enjoy a cool drink during the day and evenings relaxing with the superb views surrounding you. 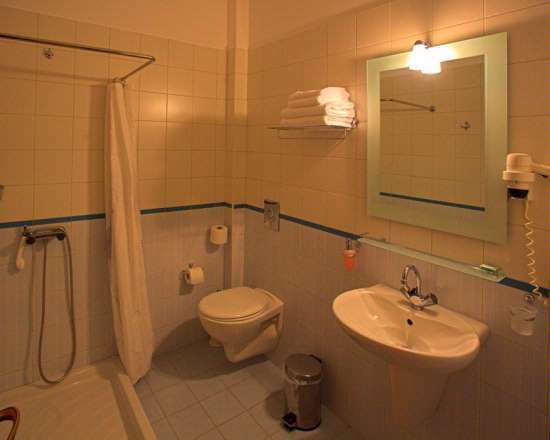 *Please note the breakfast is an extra charge with studio and apartment bookings and is payable locally to the owner. 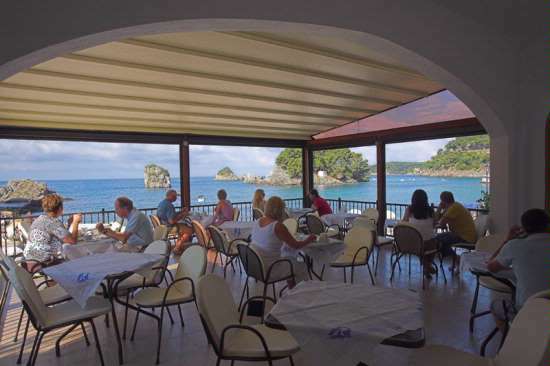 All of Parga's amenities are close by including the cosmopolitan harbour front with it's selection of fine tavernas and restaurants.